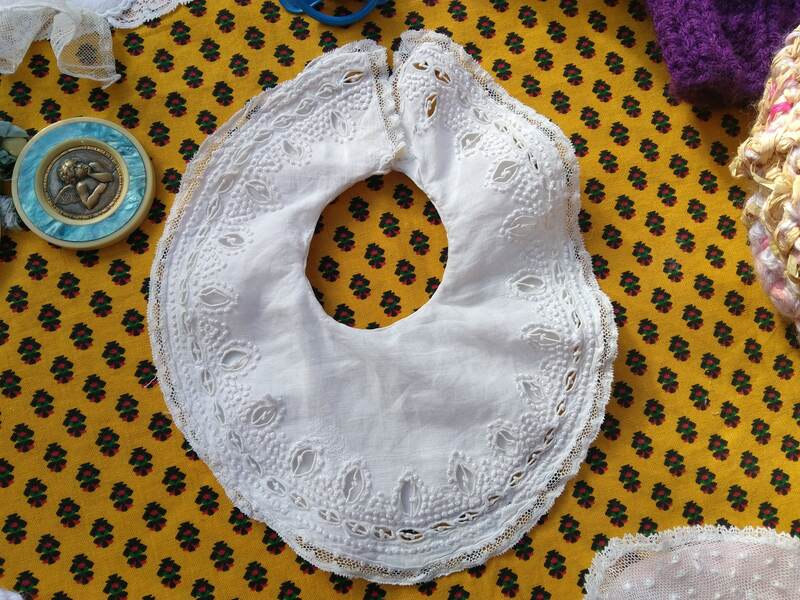 Antique White Linen Baby Bib Lined Hand Embroidered Lace Trimmed. 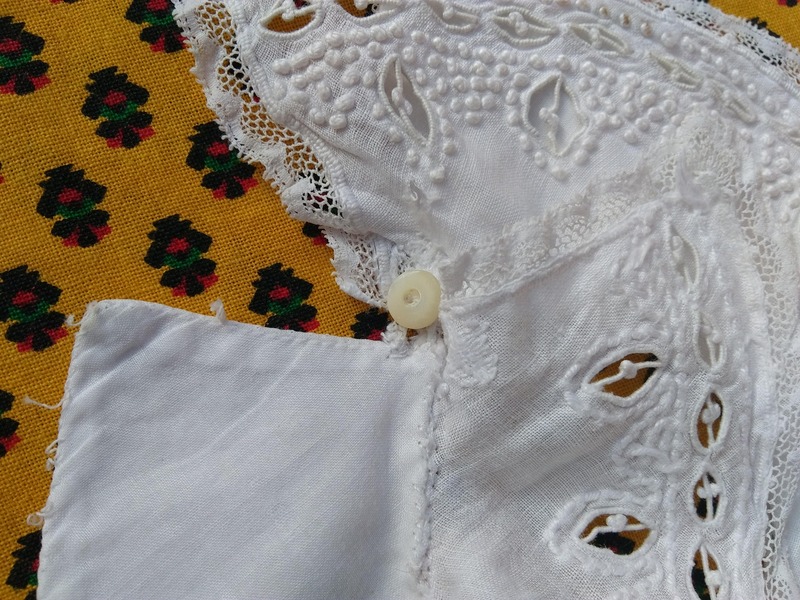 Lovely antique Mother of Pearl Bead Button closure. 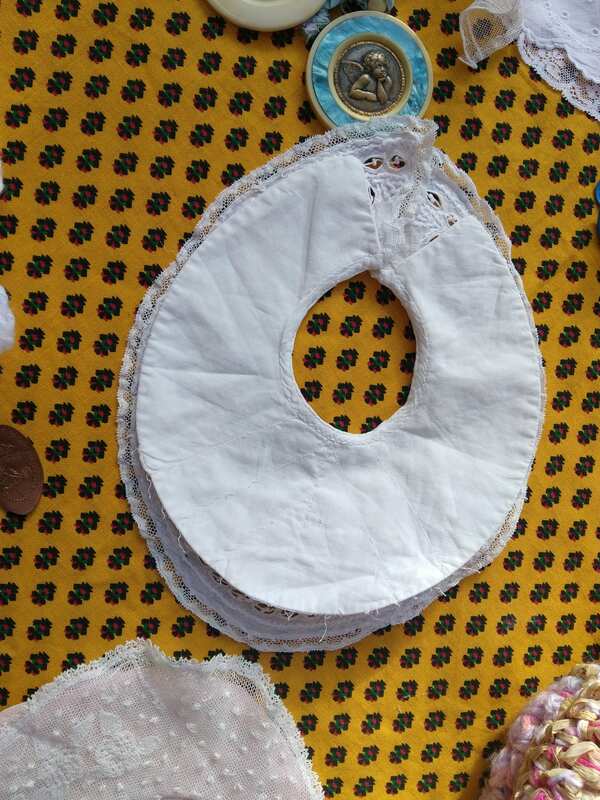 Neck size : 8 in. 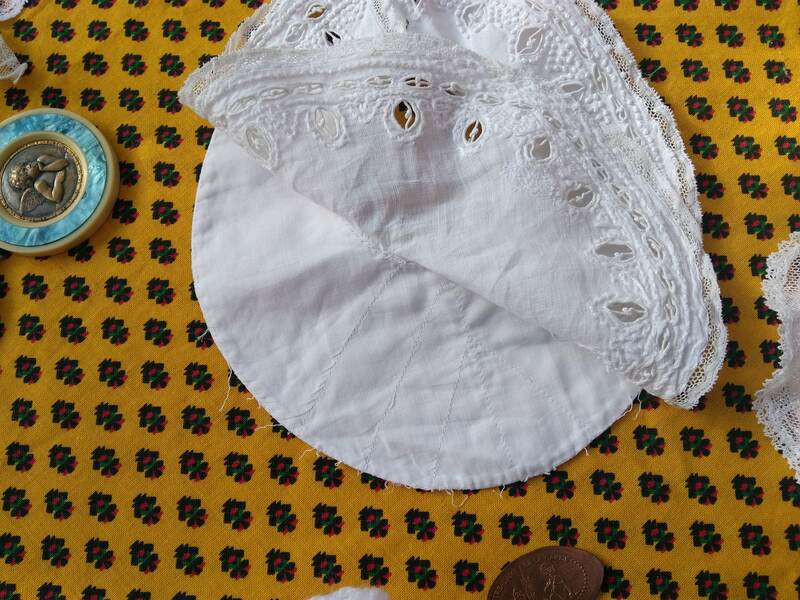 Delicate vintage condition, small darnings. 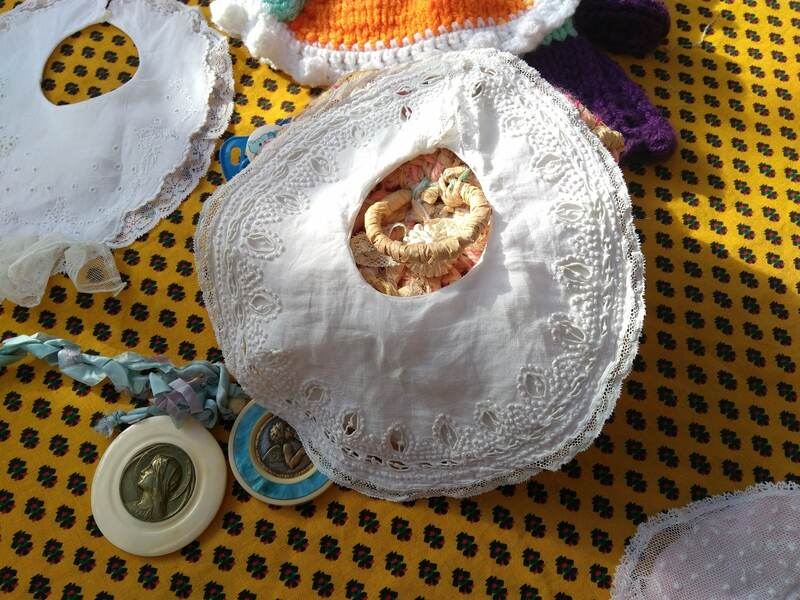 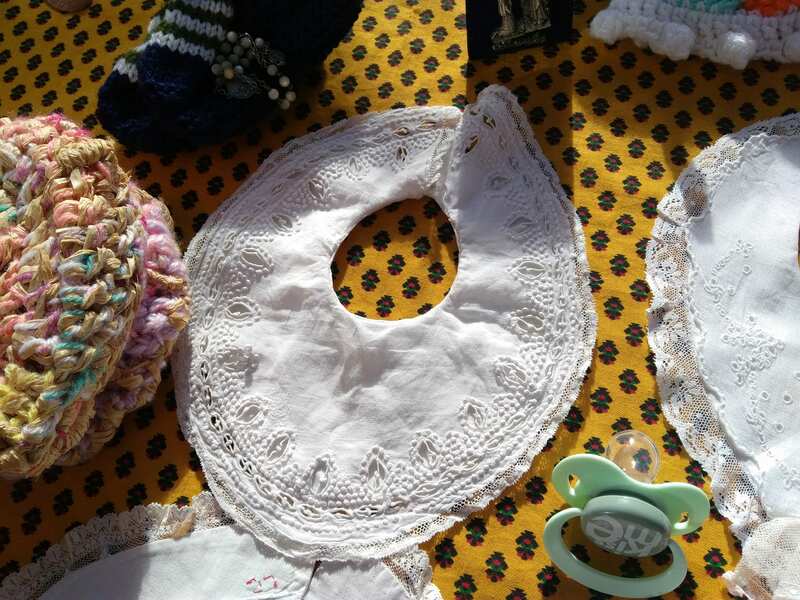 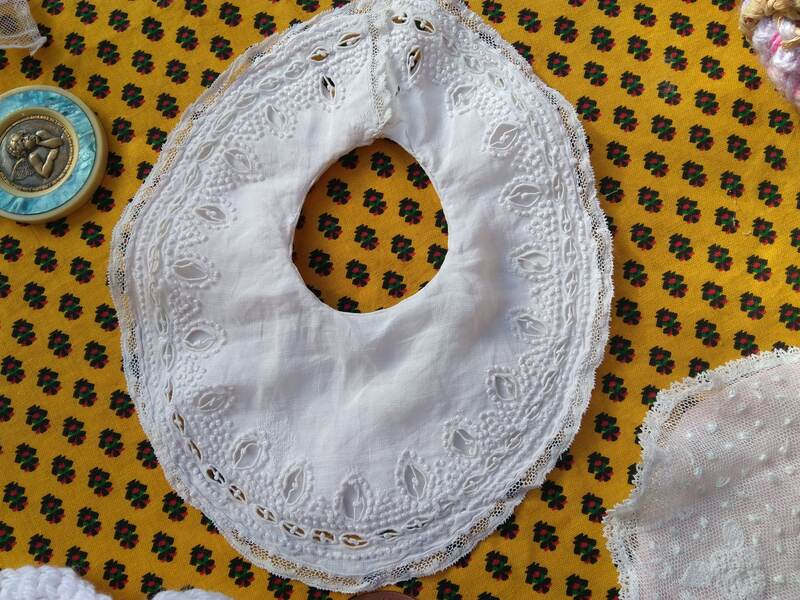 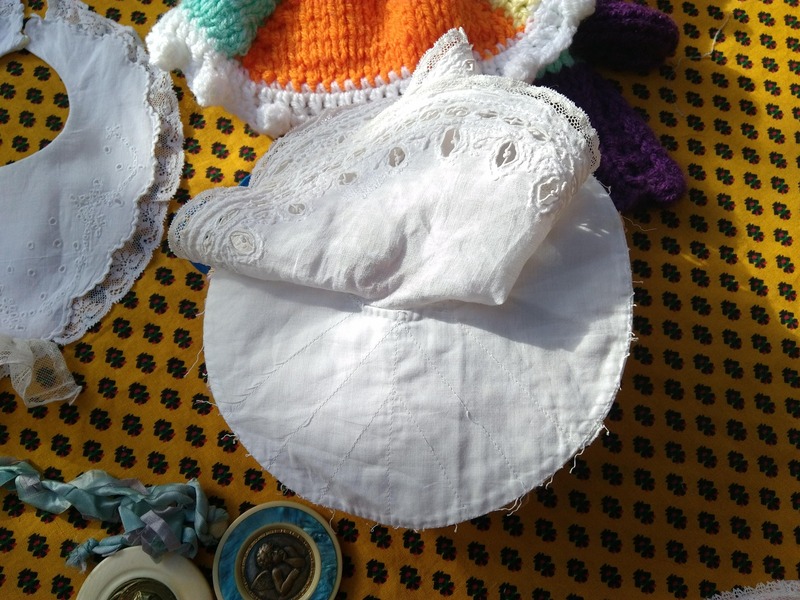 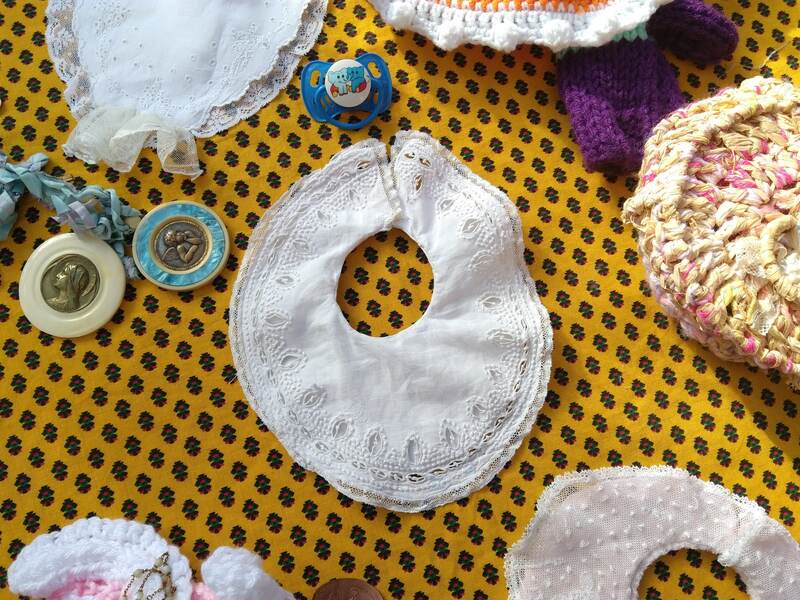 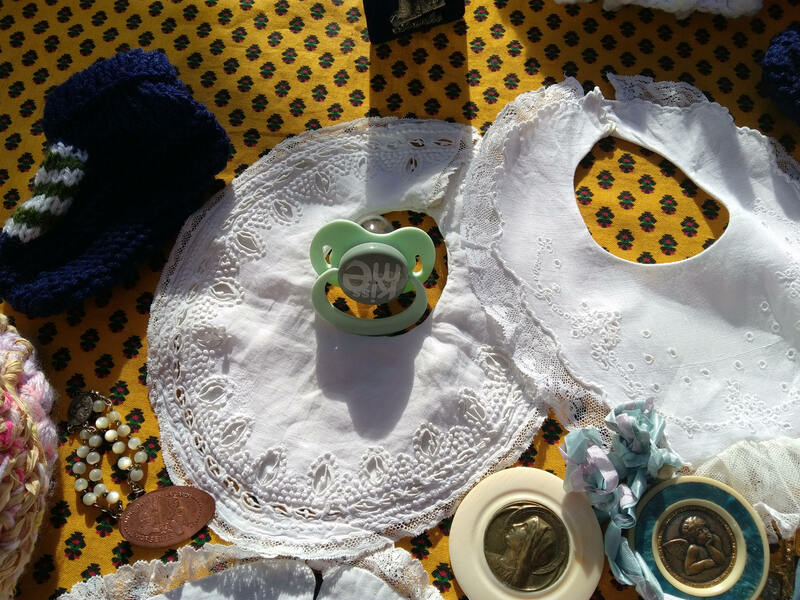 Lovely Antique Baby bib to keep as collectible , to frame or to dress a doll.